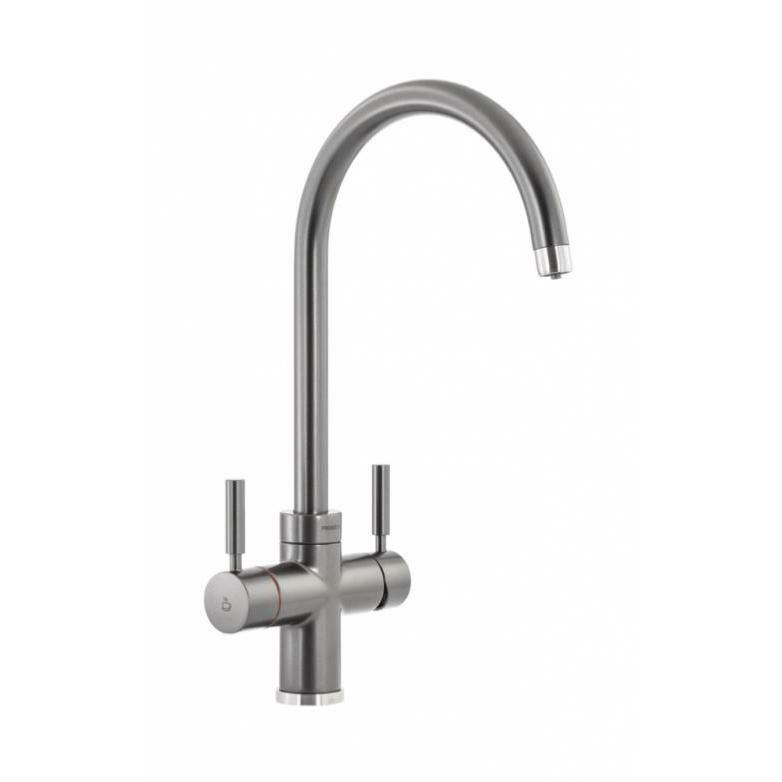 The new Abode Pronteau 3 in 1 Prostream Kitchen Tap range are created to sit perfectly within your home complementing the surrounding area they live in. 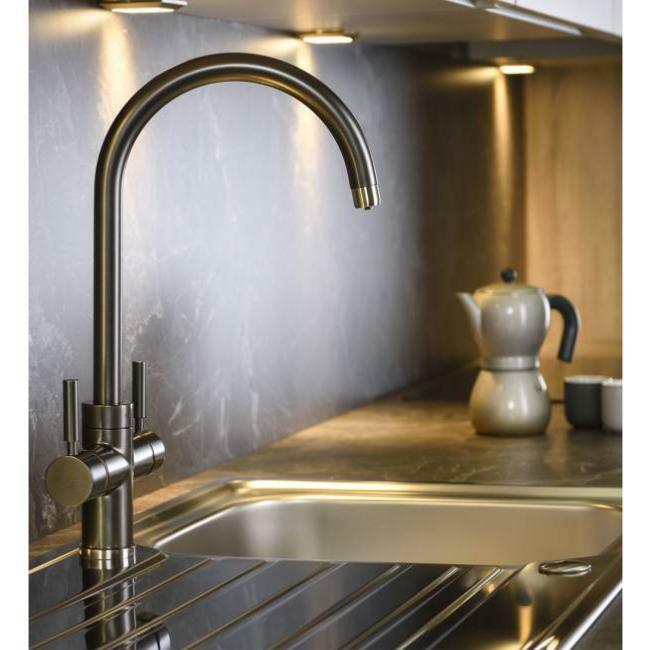 This Graphite option (available in 5 finishes) delivers 98º steaming hot water as well as your everyday hot and cold water. 360º spout rotation. Features an insulated spout including an inner pathway for the steaming hot water to pass through, ensuring your tap is always cool to the touch. 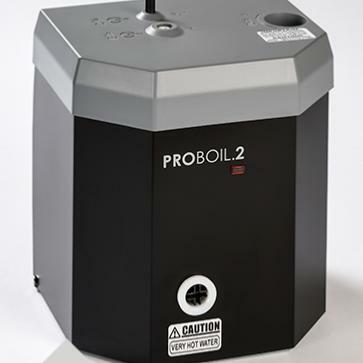 Requires a minimum operating pressure of 1.5 bar cold and 0.75 bar hot. Steaming Hot Water on demand 24/7. Available safely adn instantly at 98º, it delivers perfect steaming hot filtered water for making teas, coffees and everyday cooking needs. To operate, push the left hand control lever down and simultaneously pull forward to activate your steaming hot water. The further forward the lever is turned the greater the flow. At around 45 degrees the maximum flow is reached. 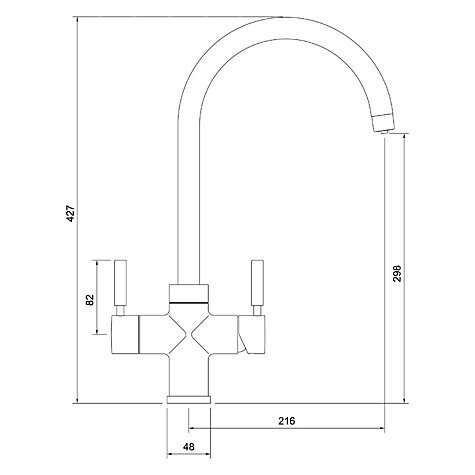 Ideal for washing hands and your everyday cleaning tasks. Delivers your usual mains cold water supply - ideal for daily chores and everyday usage. 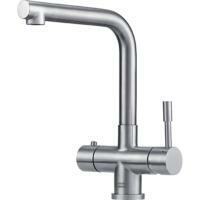 This tap features an energy saving cold start valve as standard. 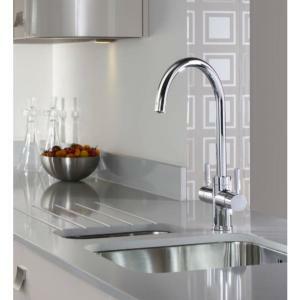 When the handle is in the upright position and pulled out horizontally only your everyday cold water will be dispensed. This means no call on your boiler to start creating any unnecessary demand for hot water, saving you money. For hotter water simply pull the lever forward.